Canary District will catch the eyes of the world as it transitions from a home for athletes participating in the 2015 Pan/Parapan American Games into a celebration of life and nature, family and community. The Pan/Parapan American Games, which began in Buenos Aires in 1951, are held every four years, and bring together athletes from North, Central and South America to compete in a wide variety of disciplines. The last Games were held in Guadalajara Mexico in October of 2011. The Pan/Parapan American Games will come to Toronto in 2015. More than 10,000 athletes from 41 countries, coaches and delegates will compete in 51 sports at more than 40 venues spread across the Greater Golden Horseshoe Region. The Games showcase high performance splendour, excitement and sportsmanship, flavoured by the spirit of the Americas. The project will advance implementation of Waterfront Toronto’s award-winning precinct plan for the West Don Lands area and when complete in 2015, the project will support the wider community by providing a beautifully designed, sustainable mixed-use riverside community. The project will also provide 10,000 Pan and Parapan athletes, coaches and team officials a safe and supportive environment during the 2015 Pan/Parapan American Games. Canary Park Condos is the newest phase of the $1.8 Billion Canary District Development. The award winning project built by Dundee Kilmer is the most ambitious urban village built in the history of Toronto. Some of the condos will be used temporarily as an Athletes Village during the upcoming PanAm Games in 2015. 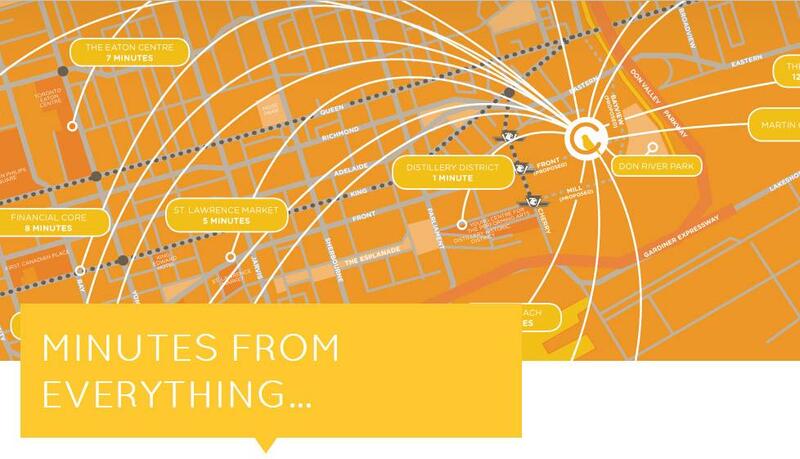 Canary District is a fully funded project and will be 100% operational by the 2015 Pan Am Games. The Canary Park Condos Occupancy date is Spring 2016. Dundee Kilmer Developments has signed a fixed-price contract to design, build and finance the development that will be used as the Athletes’ Village during the Toronto 2015 Pan/Parapan American Games. 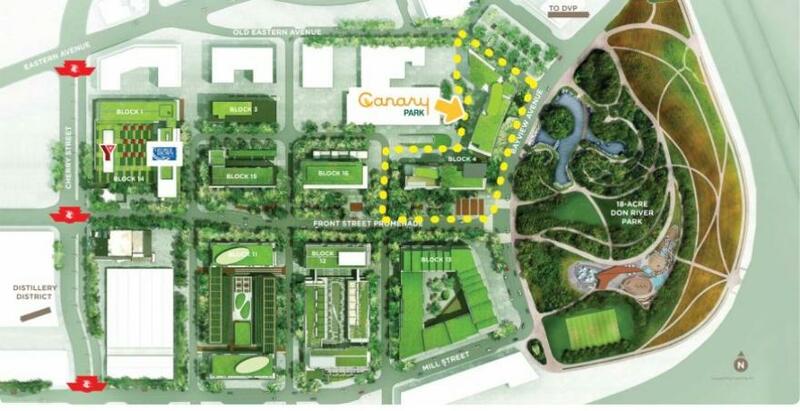 Units at Canary District will be first used to house athletes for the 2015 PanAm Games. The suites will just be bare bones 'shells' with concrete floors, walls, and bathrooms. After the games, the athletes will leave and Dundee Kilmer Develpments will complete the units with kitchens, flooring, etc. For more information, register today for the Canary Park Condos Platinum Access Preview Event. Toronto’s new downtown east is evolving into the largest urban village in the city’s history. Anchored at Front and Cherry Streets, it will be a visionary community, adjacent to Waterfront Toronto’s spectacular new 18-acre Don River Park, with lively street retail and dining, inspiring works of public art and sculpture. Every element of Canary Park is designed to be open, inclusive and welcoming as a shining model of 21st century city building. With an emphasis on maximizing green spaces through courtyards, laneways, on terraces and along secondary pedestrian routes, it will be a highly walkable neighbourhood focused on the themes of health and wellness. New pathways and the extension of Front Street into a vibrant pedestrian promenade will establish deep connections between the downtown, the Distillery District, Don River Park and Lake Ontario. It will maximize qualities that contribute to urban livability such as access to fresh air, the outdoors, sunlight, views, amenity, and public transit as well as a balance of public and private space. The overall design meets LEED® Gold criteria and honours Toronto’s Mandatory Green Building requirements to create a self-sufficient and diversified neighbourhood in which residents can live, work, and play. The master site plan below shows the various components of the entire neighbourhood, which will be built in phases. The first phase will be Canary Park Condos (Block 11) as well as George Brown College Residence (Block 1) and YMCA (Block 14). This will be immediately followed by Block 4 (market condominium), and Blocks 3 and 15 (affordable rental housing). Future phases will include Blocks 12, 13 and 16 (market condominiums). Register today for the Floor Plans and Price List.